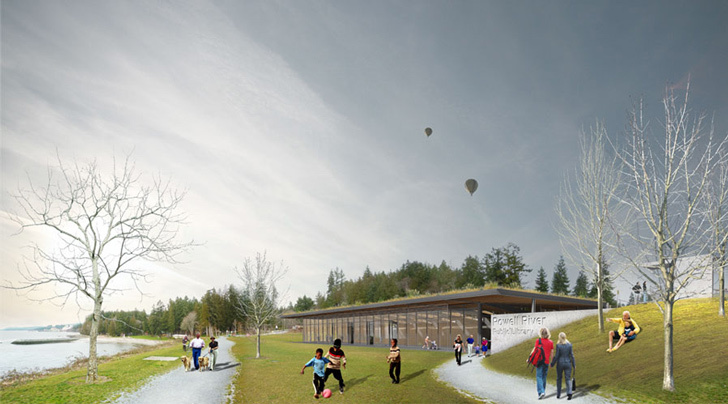 <a href="http://www.millerhull.com/html/inprogress/powellriverlibrary.htm">Miller Hull’s</a> design for the new <a href="http://www.powellriverlibrary.ca/">Powell River Library</a> in British Columbia is another example of the firm’s longstanding sustainable Pacific Northwest regionalist design. 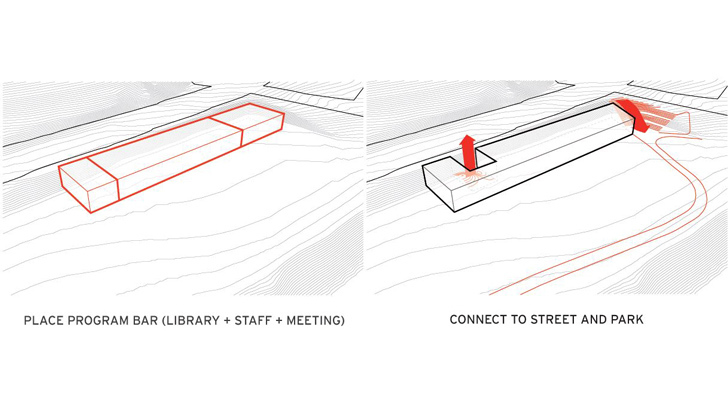 Miller Hull’s commitment to the social contributions of their projects is clearly evident, as the firm partnered with this forward-thinking library to positively impact the Powell River community economically, socially, and culturally. As Charlie Kregel of the <a href="http://www.powellriverlibrary.ca/">Powell River Library</a> put it, “[the library] will become a social hub for Powell River, creating an inviting place not only for learning, but for lots of events, activities and programs”. The imaginative design for this new civic resource is a direct result of the community's collaborative contributions throughout the design process. Miller Hull's <a href="http://www.powellriverlibrary.ca/">Powell River Library</a> is located on a previously developed site on the edge of the Strait of Georgia. 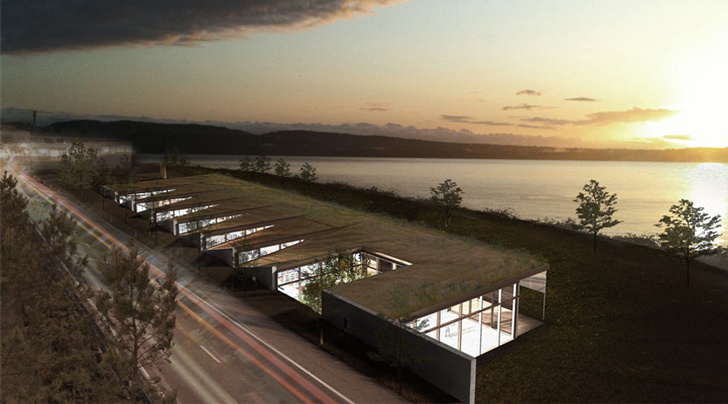 The design grows from a simple rectilinear programmatic form, and it responds to the client’s request for a single-level building by tucking into a hillside with a 26-foot change in elevation. These public spaces help to create a building which Kregel describes as “a significant public building that the community will use as a central gathering place”. 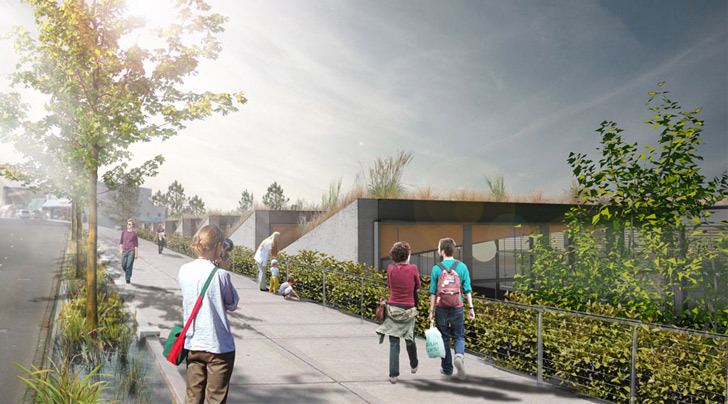 The project's exciting streetscape interacts with the building’s semi-saw-toothed <a href="https://inhabitat.com/index.php?s=green+roof">green roof</a>. 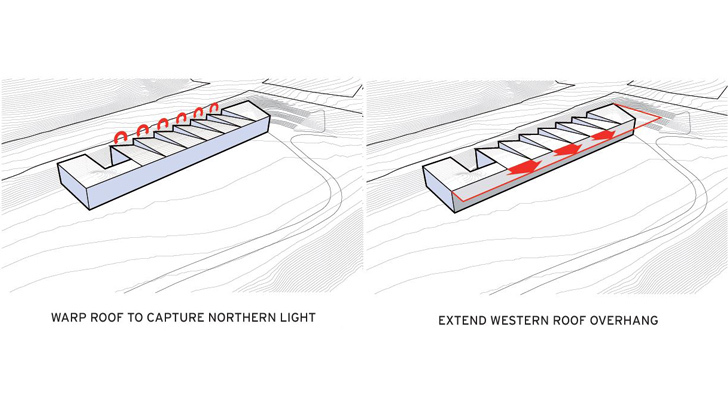 The library’s roof design incorporates a large overhang along the edge directly parallel to the waterfront, which provides shelter from the harsher western sunlight. The building opens magnificently to the river as this glazed façade captures the site’s spectacular views. Informal seating and gathering spaces are created as the adjacent pedestrian walk glides down to the sunken entry level of the building. 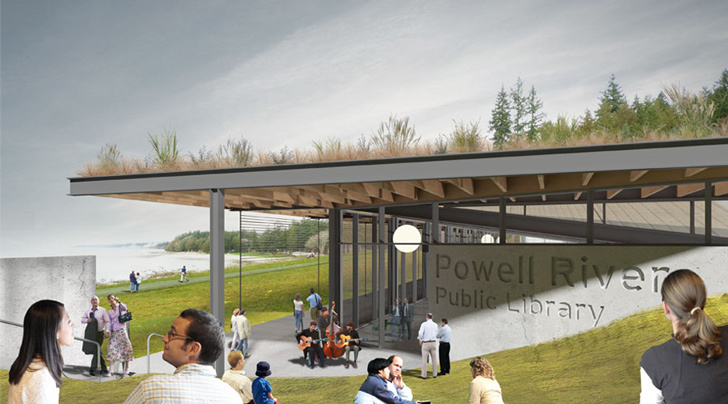 Miller Hull’s design for the new Powell River Library in British Columbia is another example of the firm’s longstanding sustainable Pacific Northwest regionalist design. 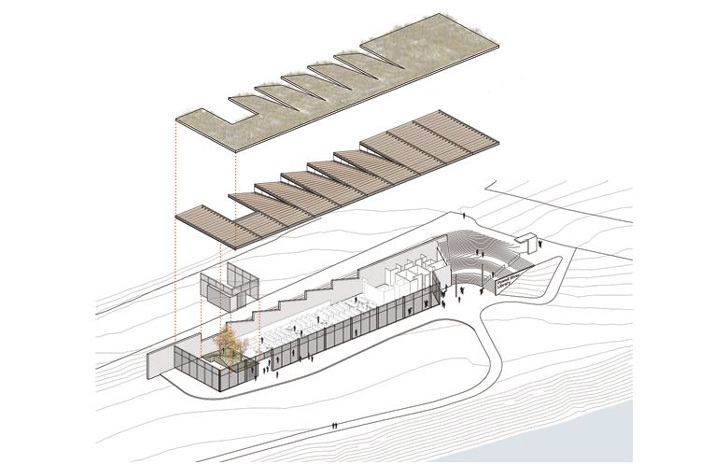 Miller Hull’s commitment to the social contributions of their projects is clearly evident, as the firm partnered with this forward-thinking library to positively impact the Powell River community economically, socially, and culturally. 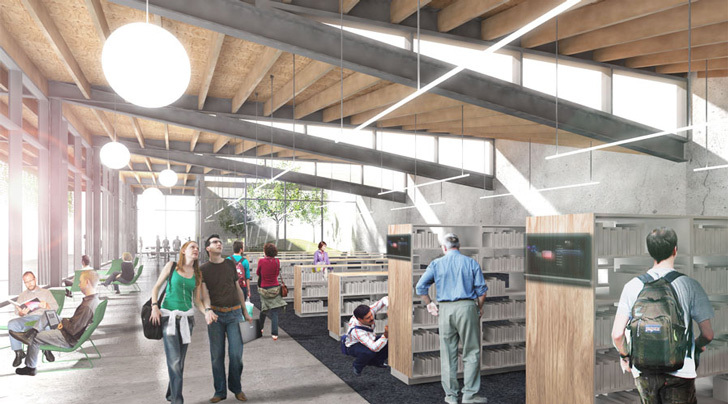 As Charlie Kregel of the Powell River Library put it, “[the library] will become a social hub for Powell River, creating an inviting place not only for learning, but for lots of events, activities and programs”. The imaginative design for this new civic resource is a direct result of the community's collaborative contributions throughout the design process.